march 28, 2009, 8:17pm. 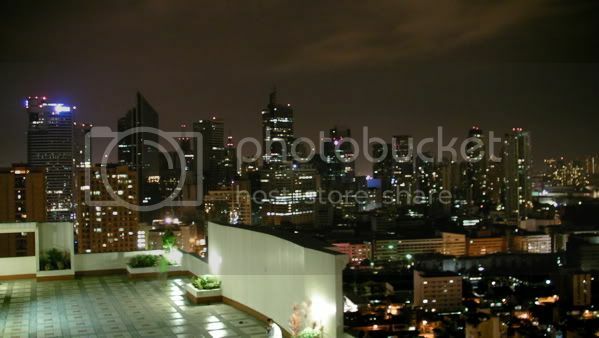 i was at the 35th floor terrace of rendo's makati executive towers condominium unit, facing the central business district of makati, marveling at the not-so-distant lights illuminating the silhouettes piercing the night sky. below me, street lamps lit the by-ways of bgy. pio del pilar in a stream of pale, yellow light. in a few minutes, a voluntary darkness would sweep across the urban landscape, as the nation, and other cities in the same time zone, take part in earth hour. i had my sanyo xacti HD1010 and my nikon D300 ready to document the yearly event, a symbolical gesture to combat the effects of climate change. but just my luck, i didn't have any of my CF cards, so my D300 was utterly useless and i was left with relying on the possibly sucky photos taken with the xacti. kudos to all the big electricity consumers who considered the deleterious effects of keeping unnecessary lights on for long periods of time, and boo to those who totally ignored it. yes, the gesture is just symbolical, at least to me, but the message is clear: the less lights we use, and generally, the less we pollute, the better the chances of earth surviving for future generations. 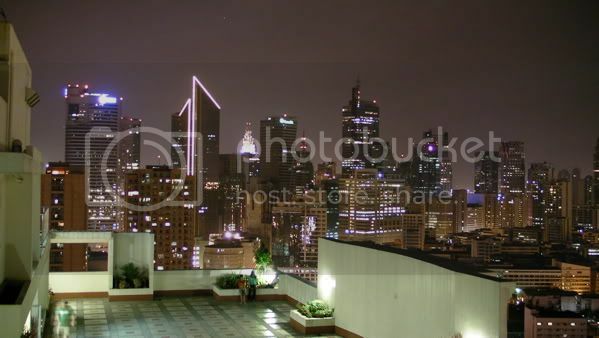 and let me just say that long after 10pm, many of these buildings did not put their lights back on. either they were cost-cutting, or they got the message loud and clear. just to bad that happend once in a year..duhh!! i have my earth moment every day, and most of the time, it's longer than an hour. in fact, it takes up most of my day. how are you andri?